New analytics out from Retroficiency show that energy efficiency in buildings can bring Consolidated Edison half way to its goal of deferring construction of a 52-MW substation in the Brooklyn/Queens area. The Brooklyn/Queens Demand Management Program has become the focus of industry attention nationwide, as New York pursues an innovative approach to reducing peak demand. Instead of building a $1 billion substation, Con Edison is seeking a much less expensive fix — $200 million in distributed energy to fill the peak need. This includes energy efficiency, along with other demand-side management projects the utility is activating. Administered under order by the state Public Service Commission, the program is a first in the state and considered a potential model nationwide. It is part of New York’s larger Reforming the Energy Vision, an industry-changing effort to create a new kind of electricity grid, where markets animate the elevated use of distributed energy. As part of the Brooklyn/Queens project, Con Edison commissioned Retroficiency to conduct a virtual assessment of about 1,000 medium and large buildings in the area. The assessment revealed potential savings of 176 GWh and demand reduction of 23 MW at peak — which is about half of the requirement targeted by the utility. The savings potential is significant. But equally interesting is the building owners’ response to the program. They are showing much higher interest in moving forward with energy efficiency programs than is typical — four times more are responding than usually do from a utility marketing campaign, said Mike Kaplan, Retroficiency’s vice president of marketing. 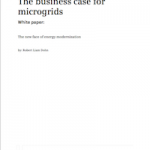 Kaplan said that the program was able to overcome one of the biggest barriers in the energy efficiency market: a lack of information and insight given to customers about potential savings specific to their facilities. Typically, utilities approach building owners with a generic energy efficiency message. But it’s much more effective “to go to them with a message of, ‘We’ve analyzed your energy consumption, and we can say with confidence that you have 25 percent overall potential [energy savings].We think there might be a lighting opportunity and retro-commissioning opportunity. Would you be interested in investigating them further? And oh by the way, we have incentives that can reduce the upfront costs,’” said Kaplan in a recent interview. 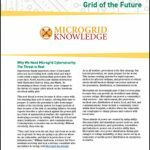 The findings are particularly significant to Con Edison, since it hopes to target several constrained areas of the grid using virtual assessments and other means for identifying distributed energy potential. “Turning raw data into actionable information is key to customer engagement and empowerment. Further, we see clear benefits of being able to identify the right customers to target at scale and achieving building-specific insights, and we believe virtual assessments will be a key part of our energy efficiency and load reduction efforts going forward,” said Colin Smart, Con Edison’s section manager for targeted demand management. By way of example, Con Edison pointed out in a PSC filing last month that it has identified a potential need for alternative resources to resolve an overload in Brooklyn’s Borough Hall that will begin as 4 MW in 2018 and grow to 14 MW by 2024. 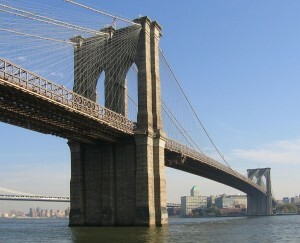 The utility described it as “one of a number of overloads projected over the next 10 years” in the New York City area. For Retroficiency, the Brooklyn/Queens result is one of a series of recent wins. The company announced May 12 that its struck deals with three new utility commercial energy efficiency programs. AEP Ohio, Puget Sound Energy and United Illuminating. The utilities collectively represent 300,000 commercial customers consuming nearly 26 TWh annually. Retroficiency also is working with CLEAResult on a program it is delivering for Kansas City Power & Light. The new contracts add to the list of more than 20 programs using Retroficiency’s deep analytics platform. Read more stories about New York’s distruptive energy transformation by subscribing to Energy Efficiency Markets Newsletter. It’s free here. BEST has been formed to reduce building energy usage dramatically with silent fans that need half the power of any other choice. Our products have been providing reliable continuous service in large industrial applications for over 30 years now, and we are expanding our manufacturing to address global climate issues. Our secret is axial fans built into minimum turbulent designed housings – a large part of the energy fed into traditional HVAC products turn into turbulence and noise that nobody wants. Using our HVAC products instead will save peak energy while improving indoor environmental quality by generating less noise. We have created partnerships with some of the industry’s largest manufacturers to drive the building design state of the art to extreme efficiencies. Please involve us in your energy efficiency upgrade projects to provide owners with the very lucrative option that BEST is bringing.